Tecnogas designs and produces since 1982 tank trucks for the LPG transportation and distribution offering a wide range of solutions: whether the supply of the metering equipment or of the complete tank trucks. 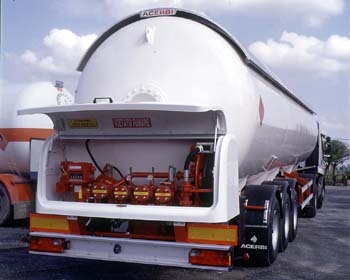 Moreover Tecnogas produces removable vehicles easily detachable from the chassis. In this way the latter can be used for different activities. Tecnogas established a business collaboration with INDOX, a Spanish company specialized in the transportation of cryogenic fluids.